The CANTERBURY White Woodgrain FD30 Fire Door from the JB Kind Fire Door Range has an engineered core. This 2-light Glazed door has a timber-frame with firecheck engineered core, to ensure a quality, weighty feel to this Firedoor. White Primed ready to paint Canterbury internal half-hour firedoors are 44mm / 1-3/4" firedoor thickness, in 2 Fire Door sizes - 78x30" & 78x33". 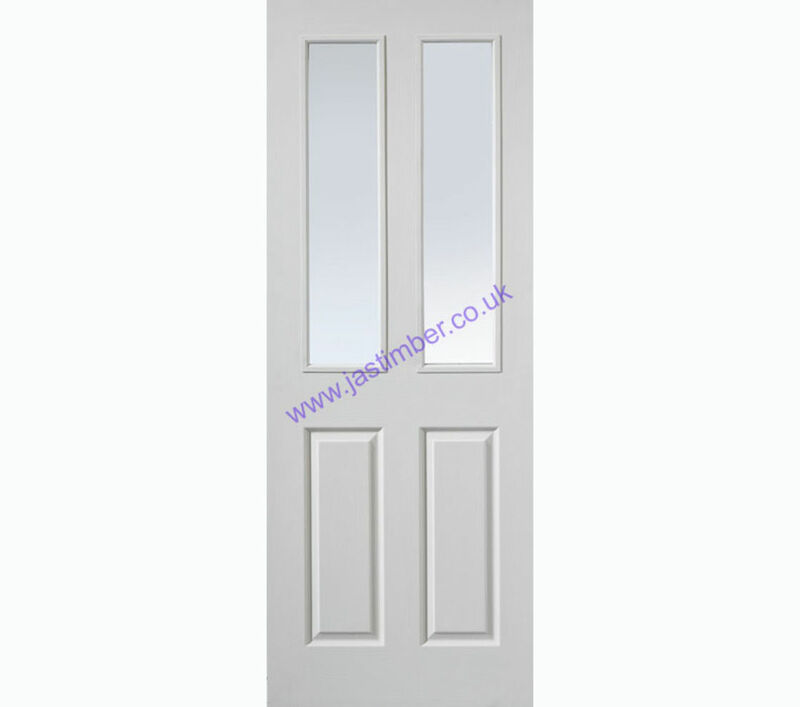 Matching 35mm internal solid & glazed pattern doors are also available: CANTERBURY internal White Woodgrain Doors.